Call us today for more information about glass etching! Welcome to Dusty Trails Glass Etching of San Angelo, Texas. We have been in business since 2002 and take great pride in the quality of our work, no matter how big or small the job is. Call to learn more about our wide array of etched products. We have glassware (mugs, shot glasses, pilsner glasses, pitchers, wine glasses, etc. ), awards, mirrors, glass desk name plates, or how about an etched wine bottle for that special occasion! We also offer custom design brands, logos, just to name a few for the client wishing to have something extra special for their home or office. We also do wedding gifts! Whether you're looking for bridal party gifts for the bride and groom or gifts for the bridesmaids and groomsmen, we can help. Don't forget about your cake topper! Dusty Trails Glass Etching is located in Texas, but we are happy to fill and ship national and international orders. Contact us today if you would like more information about the variety of products we can etch - let's create that perfect personalized gift or memorabilia! 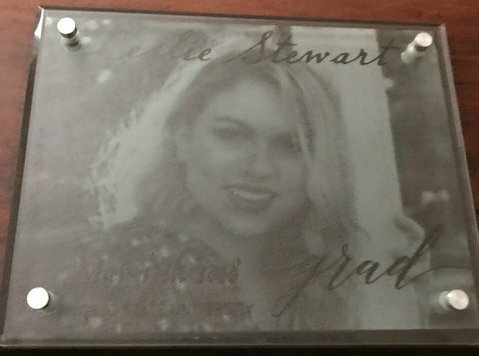 Give us a call today at 325-277-9197, or send an email to dustytrailsglassetching@hotmail.com to learn more about our glass etching services. 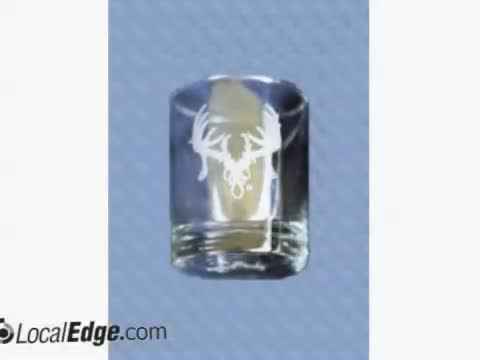 We offer shot glasses, wine bottles, and more! We provide a wide variety of etched products for glass surfaces! We offer experienced glass etching services in San Angelo, TX, personalizing memories and ideas on glass. Our customer base includes: Y.O. Ranch Mountain Home, Texas; Texas Bank, Concho Educators Federal Credit Union, San Angelo Federal Credit Union, 1st Community Federal Credit Union, 3 local Auto Dealerships, Angelo State University and Alumni Association, San Angelo Police and Fire Departments, Abilene Fire Department, Odessa Fire Dept., Standard Sales Distributor and Associates, Area-Wide Phone Book of San Angelo, and many private businesses in the local area as well as many private citizens. The San Angelo, TX area knows who to trust with their glass etching! We are honored to be licensed exclusively by The Texas Trophy Hunters Association to etch their logo. We are also licensed with The State of Texas to etch the "Don't Mess With Texas" logo. 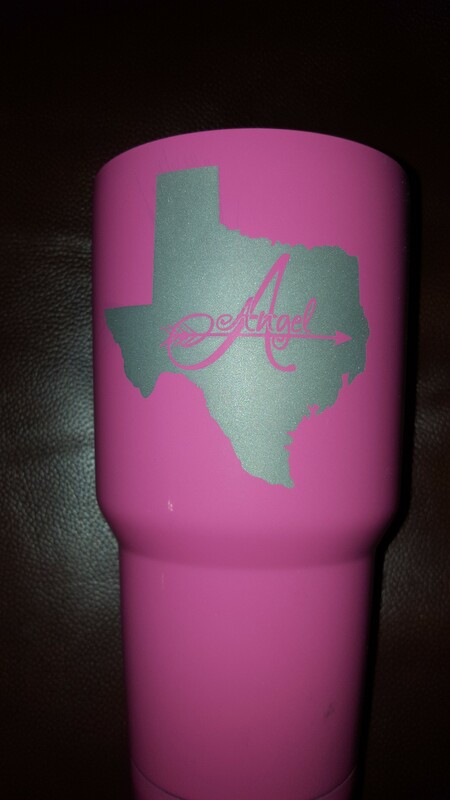 Our etched products are second to none in San Angelo, TX. Highball / Old Fashioned Glass, 10 1/2 oz. Flag is made of leather. Frame is made of mesquite.
" Curved Beveled Picture Frame"